72" x 36" x 36"
My sculptures and collages are currently inspired by the tools of desire: wishes, hopes, effort and intention. An evolving understanding of my roles as a parent, child, sibling, spouse, citizen, friend and lover, as well as my awareness of competing external expectations for each of these roles, directly shapes the works’ content and structure. My artistic practice offers me a means of exploring current conditions and activating hope for an unrealized but longed-for future. <p>&nbsp;</> I choose materials for their metaphoric or associative meanings; matchsticks, for example, suggest a continuum from latent potential to residue while sandpaper contains a tactile recognition of its erosive function. I frequently draw imagery from celestial sources; the moon, stars and cosmos recur throughout in varying forms. This imagery, however, is eclipsed by its materiality. Stars are rendered as abraded holes in sandpaper, and deep space in a rough wood tree branch. My collages pair traditional drawing materials with the nontraditional materials found in my sculpture, and both 2D and 3D forms incorporate a longstanding interest in poetic language. 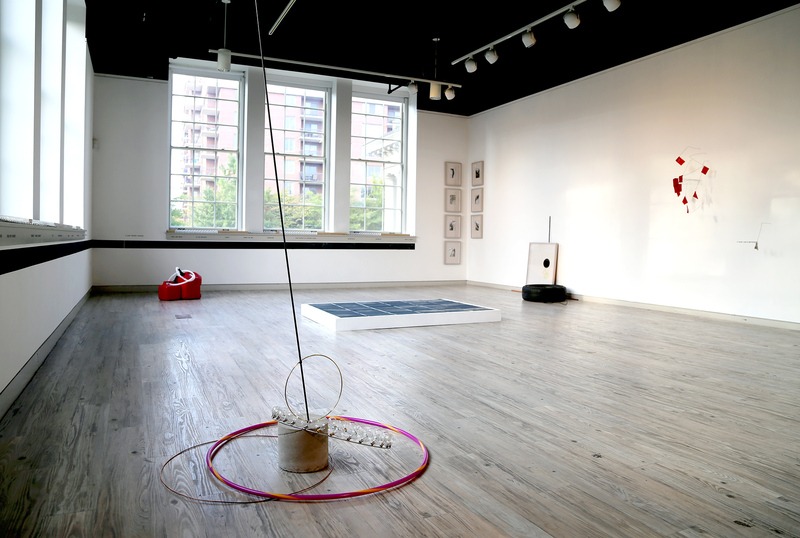 Julie Wills is an interdisciplinary artist working in the expanded field of sculpture, including installation, collage, performance, video and site-specific practices. She holds an MFA from the University of Colorado, and an MA in art criticism from the University of Montana. 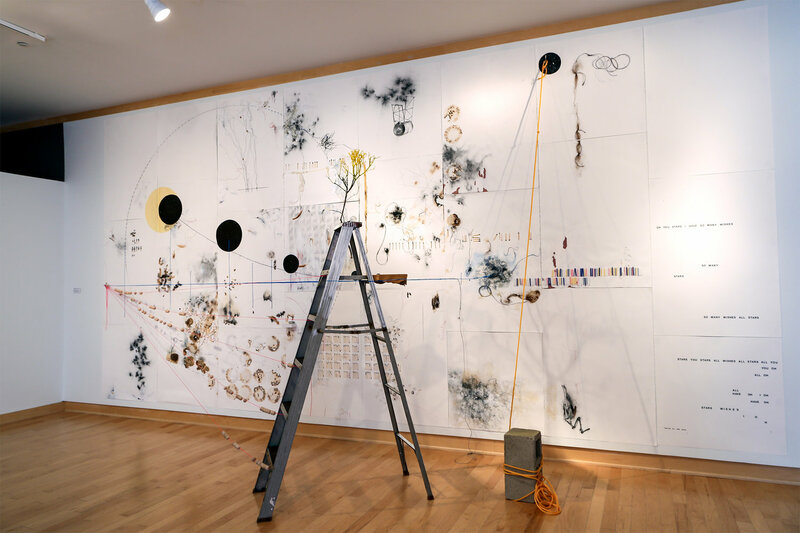 She has been an artist-in-residence at the Jentel Foundation, PLAYA, and the Hambidge Center, among others, and exhibits her work widely. Wills is an Assistant Professor of Studio Art at Washington College in Chestertown, MD.